Each year as flu season rolls around, I’m hesitant to go to my classes. With so many of my peers coughing, sneezing and just being generally sick in classes, it’s something I wish I could avoid. As someone with a chronic disease that leaves me immunocompromised, getting the flu for me doesn’t mean a week of bed rest and chicken soup. It means a hospital visit and even the risk of death. So you may be able to imagine my frustration when I hear people say, “Oh I never get the shot” and then proceed to tell me how they get the flu every year and just “ride it out.” I unfortunately cannot just “ride it out,” and with the stakes being so high for people like myself, it seems almost selfish of people not to get the shot, especially if they are in good health and their physician has given them no reason not to get the shot. Vaccinating is important for our society, to not only prevent disease but to keep people who can’t get vaccinated, such as infants, immunocompromised people such as myself, cancer patients and other people with serious health concerns, protected from diseases. Getting the flu shot is no different. According to the CDC, if you’re six months or older you should be getting the flu shot every year. They also recommend that you get vaccinated by the end of October to build up the antibodies in your system and to help protect yourself from the flu. Many of my friends say they don’t get the shot because they still get sick every year anyways. However, if you get the flu shot and still get the flu, you get a much milder form of the disease. This means that yes, you may still get sick, but the flu shot greatly reduces your risk of ending up in the hospital or getting the full-blown flu. During the 2014-2015 flu season, the CDC reported 128 pediatric deaths occurred from the flu. Additionally, the most at risk group, besides children and people with health conditions, are adults 65 and older. The side effects from the flu shot are rare, but if you get any they will typically include pain or tenderness at the injection site, a low-grade fever and body aches. Of course serious side effects can occur, but they are incredibly rare. Given the fact you will most likely receive the vaccine in a medical setting — pharmacy, doctors office, health center, etc — they will be equipped to help in the very rare event that a serious side effect does occur. Getting the flu is far worse than getting the shot, which will most likely just cause your arm to be sore for a day or two. The flu causes you to be sick anywhere from a few days to two weeks. It can also cause pneumonia which can be fatal. The flu can also cause people with health problems, such as myself, to have worsening symptoms which then further complicate their medical conditions. If you want to help prevent the spread of germs and the flu this season, there are some easy steps you can take. First off, get vaccinated! It is the easiest thing you can do to help protect yourself and others around you. Secondly, try to avoid contact with anyone who is sick, and if you become ill yourself, do us all a favor and take the day off from classes to get well. In fact, the CDC recommends staying in your room/home for at least 24 hours. Lastly, cover your coughs and sneezes, and wash your hands. It all seems simple, yet you’d be surprised how many people I observe in my classes who don’t follow these simple steps. While getting a shot is no fun — trust me, I have a fear of needles myself — it’s much better to be safe than sorry. 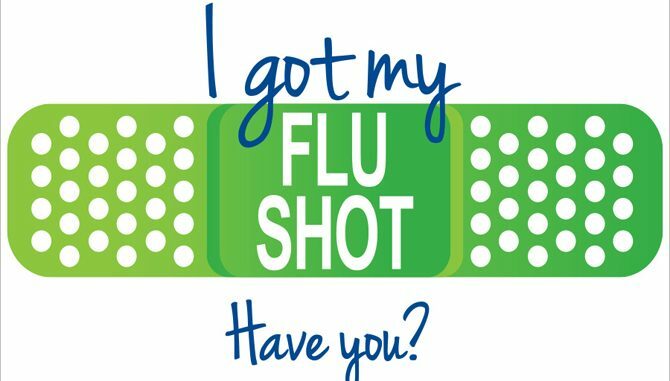 Here on campus, you can get your flu shot by walking into Health Services Monday through Friday from 8:30 a.m. to 4:30 p.m. for $25. You can also go to any pharmacy that offers them, such as Meijer or Walgreens with your insurance cards to get it done. The choice should be clear and simple — get the shot. It might just save the life of one of your friends, family members or yourself. Erin Mahaney is a senior at Albion College from Michigan's Upper Peninsula. She is pursuing a Dual Bachelor of Arts in English with a Professional Writing Emphasis and Communication Studies. She spent a month in Costa Rica in May of 2015 teaching English to elementary school children and college students. Her hobbies include fly fishing, being in nature, knitting, and managing her rescue cat's Instagram.